“I am Merlin. 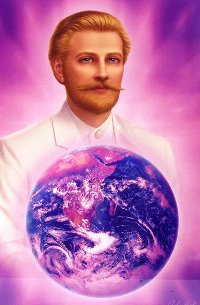 And while it is true that I am an aspect of Saint Germain, I am nevertheless an identity in my own right! Now you may know that Merlin is a title given to the Chief Druid. This is ancient – or as you may be regarding it, ancient. It’s really just a moment in time, as it is measured here, because this Planet here is very old. But I am THE Merlin – the Merlin of Camelot, the Merlin of that bright spot in the history/herstory of Planet Earth. Camelot was real, as were Arthur and the knights and ladies in that moment – that brief, shining moment! “And why did it shine? It was because there was a Code – the Code of the Round Table. 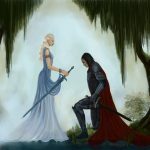 It has been called chivalrous, but it was a Code of the Heart. It was a Code that came from that universal Love, that golden-white LoveLight, which is the origin of all of us – and the very Source from which we have all been created!!! And it shone so bright in those brief moments of Camelot, that it lives today even in the Hearts of all, whether they are in conscious memory of it or not. “There are moments like this in the history/herstory of Planet Earth, and they are to be celebrated – not so much for the deeds that were done or the personalities of those involved – but simply because they were bright spots of LoveLight! “The years that Yeshua spent on Planet Earth in a human body – at least those years that are generally known of – were brief. And yet, that was of time of that bright LoveLight being anchored more on Planet Earth! And so it is that, although the events were different and the people involved were doing different things, there are bright, shining moments – some that are World renowned, some that occur within your lives – but they all contribute, and are contributing, to that which is taking place right now – that which I am here, along with this entire company of LoveLight, to assist you in accomplishing. And, of course, you know that I am talking about your return to the Light! “But it is to be transformationally transmutational in increments or, you might say, gradually. No matter how fast each individual accomplishes their own personal Ascension, there is the Community of Planet Earth. And it is for you to be here long enough to reach that place within your beings where you are fully aware of Who You Really Are – your Divine Selves – and where you come to that perfect Love of yourselves. And when I say ‘perfect,’ I simply mean without judgment, blame, guilt or anything that comes from fear. And we know this is not easy! “It was not easy for me to assume a human body, even though I retained my abilities – my, what some call magic, I call alchemical – to shapeshift and so on. Nevertheless I, too, am well aware of what it feels like to be in the confinement of the human body! But this is what Humanity chose in order to experience that which our Beloved Creator could not. For our Creator could only create Love! But as humans, or wearing human disguises, we were able to do the opposite of Love, and I shall only say that. Now it is to clear out! It is for you, each and every one of you, to be the alchemist, clearing out whatever there is within your fields that is not Love!!! “And I suggest that you keep some tools handy within your beings – a mantra, a particular musical selection, a picture – whatever it is so that you can instantly shift. In other words, you can apply an alchemical process when you are feeling low in your vibrations, where you can apply something simple, something quick, as quick as a wave of your magic wand. I give you mine to share, if you wish, so that you can instantly transformationally transmute whatever fear-based thoughts or visions you may have had into High vibrational, High frequency loving ones! “Now the good news is that you all are able to recognize the difference! This is huge! How many of you – raise your hands – how many of you could recognize this difference, let us say five years ago, in your time? Now you have instantaneous recognition and I congratulate you for persevering on your Paths and for bringing yourselves up to where you can be aware of it or perceive it! “So get yourselves equipped, prepared even more to transmute, whatever there is that might come in in the moment, into High frequency Love. The more you do this, the less these moments are going to happen!!! Yes, you can put yourselves into a bubble, if you wish, or a cloud, a mist of High Dimensional golden-white LoveLight. And you will find that you will spend less and less of your moments even allowing fear-based feelings to enter in! “You will find that, as Ashtar was saying,* you can observe what is going on around you solely from this High Perspective, where you can help, instead of adding to the low vibrations. You can help to raise them – to alchemically lift these vibrations up, so that those who are experiencing them can feel the difference and want to do as you are doing! This is how to transform community and, indeed, the entire Community of Planet Earth, to be in the most magnificent of assistance to all who occupy the bodies of humans, and by extension, to all present in the Kingdoms of Mother Gaia, in addition to Humanity!!! “And so I invite you, each and every one of you, to be the alchemists for yourselves first, and then to be in assistance! Together, we are the co-creators of the Magic. We are the true Lightworkers, bringing in more and more of the LoveLight to assist all of Planet Earth – below, on and above – in moving upward! “You wonder where Avalon is? Avalon awaits. You wonder where Camelot is? Camelot is there with the unicorns, the wee dragons, the fairy folk, and all the wondrous beings who dwell in the Higher levels of dimensionality. Bring it right in. Make it your reality!!! Bring yourselves up. It’s waiting for you.It is welcoming you and, of course, all the LoveLight. Welcome yourselves Home! 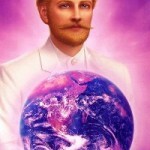 Who do you think is going to be the first to welcome you to the Higher Dimensions? It is you, yourselves, that part of you which is – always has been, and always shall be – the LoveLight itself!!! You ARE of the LoveLight; you ARE in the LoveLight! It is only a matter of bringing that part of you which is third dimensional into your Graduation, your Homecoming, your return to the Love and the Light you are!! !